Since its inception in 1994, Dynamic Supplies has evolved from its humble beginnings in a suburban house in Brisbane into one of Australia's most successful technology distribution companies. Dynamic Supplies is 100% Australian owned and operated, with an annual turnover now approaching $300 million. We are proud of our continual effort to provide value-added distribution and logistics to resellers in the IT, consumables and office supplies sector. The company distributes a comprehensive range of IT hardware and consumables and retains strong strategic partnerships with the world's leading manufacturers including Brother, Canon, Epson, Fuji Xerox, Kyocera, Oki and Samsung, This combined with our ability to source IT product from a strong local and international network built up over 21 years, ensures we can always supply our customers with quality product at industry best pricing. Our team comprises over 140 qualified staff with strong industry experience. Combined with our competitive pricing we are dedicated to offering our customers superior service backed by knowledgeable support and exceptional account management. With state-of-the-art distribution facilities in Brisbane, Sydney, Melbourne, Perth, Adelaide and Auckland, and combined office and warehouse space in excess of 13,000m2, Dynamic Supplies is renowned for being able to fill customer orders first time with rapid turnaround and unfailing accuracy. We strive to maintain our reputation for responsiveness and service to ensure that total customer satisfaction remains our foremost priority. 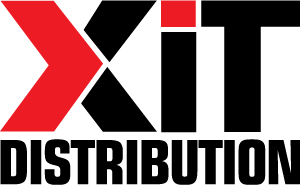 XiT Distribution is one of Australia's leading IT & Audio Visual Distributors. With a focus on IT components, peripherals and Audio visual equipment, XiT distributes products from leading vendors including Microsoft, Yamaha, LG, BenQ, Logitech and Panasonic. Toner Warehouse are a National Distributor specialising in printer consumables including Inkjet Cartridges, Laser Cartridges, Copier Toner, Media, Paper, and Thermal Ribbons. To complement its offering of genuine OEM consumables from vendors including HP, Canon, Epson and Brother, Toner Warehouse also offers an extensive range of remanufactured and compatible cartridge alternatives. PrintSolv is a wholesale supplier of industry-leading solutions to Printer, MFP, and Managed Print suppliers in Australia and across Asia Pacific. Whether you’re looking for remote monitoring, print management, cost recovery, document capture, dealer marketing, or sustainability programs, PrintSolv can provide you with industry leading solutions and services that will maximise efficiency and lower costs for both you and your clients. Dynamic Group Logistics are the specialists in 3PL warehousing and logistics. DGL provides a range of services including, short and long term warehousing, pick and pack solutions, kitting and reverse logistics. Dynamic Supplies have proudly received a number of awards throughout the years. Below is a selection of some of our more recent awards.